Last night Sofar Sounds met in the hidden gem of a venue, The Rococo Cafe on Liverpool Lord Street; to perform their wonderful mash of music genres. Jessica Jayne Sharpe & James Ainsworth hit the Rococo Cafe to find out the fuss of Sofar Sessions. The great thing about Sofar Sounds is that the fact that they showcase lots of different styles of music is a main one, you can go from one extreme to another you can be listening to smooth mellow jazz band then go for a quick ciggie and there will be an indie rock singer setting up on. The stage and Thai is the type of variety you want from a gig like Sofar Sounds. This way it keeps the audience interested and involved because if you look around the room the audience is filled with respectful people all following the rules but don’t be put off by the word rules there not so much a strict following more like general gig etiquette especially in such a such a close up interment like Sofar Sounds, if you are going to attend these sessions you have to leave your phones out of the way so you don’t get distracted and just sit and enjoy every act the night has to offer. It’s such a chilled out vibe in the atmosphere everyone sits there listening to the artist performing. Sofar Sounds organiser Mel would introduce every act and would give a background of the artist that helps to give you a better understatement of the style that the artist is trying to portray. The first act of the night was musician Johnny Sands, the son of a Persian jazz musician. After traveling for a while Johnny decided to settle in Liverpool where he signed to Baltic Records in 2015, he performs very frequently at Liverpool venues he also performs in Manchester and even has monthly gigs in London, but for tonight Johnny was set up in the Rococo Cafe on Lord Street Liverpool where he set up with his acoustic guitar in hand to perform his choice of four songs his choice of his songs where very mellow and relaxing indie styled music, he performed his third single “A Friend” which has been proved to have been a huge success with lots of successful feedback from BBC and is on the radar of the UK premium radio tastemakers. Jack the Rapper, unlike his ripper counterpart was god-dang awesome, with his lyrics like silk, that flowed like….milk? OK, I’m not a rapper in fact, I dislike rap, it’s just never appealed to me, but Jack The Rapper is certainly one on my ‘to buy’ list. Combing comedy stylings effortlessly with fast, free flowing lyrics and with beard on point, Jack took the stage alongside his friend on guitar who accompanied the vocals beautifully. After a short break, Wild Rossa And The ’88 came to close the night. Well, as soon as they pulled out a tenor saxophone and a snare drum played with brushes, I was sold! The quintet played their beautiful collaboration of jazz, reggae and blues alongside Wild Rossa‘s sassy vocals, which was very San Cisco-esque. The group mixed the genres amazingly, with each layer adding something different to the grove. Audience member Kathryn Burns said that the saxophonist alternated well between a nice breathy tone to solid one, to accommodate for different improvisation styles. The group ended with a flawless cover of a Craig David song, that was a fabulous end to an impeccable night and that was it, shame, we wanted more. 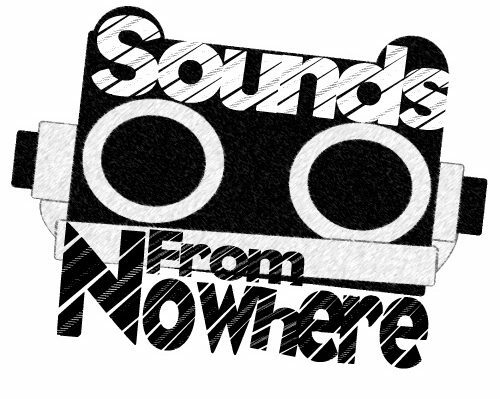 Sofar Sounds return on July 22nd at an unknown location in the City Centre. You can apply for tickets now at SofarSounds.com/Liverpool and be quick, they sell out.